Dr Stewart Adams, the legendary Nottingham pharmacologist who co-created the painkiller ibuprofen, has sadly passed away aged 95. Today ibuprofen is the most commonly-used drug in the management of pain and inflammation worldwide. Dr Adams left school at 16 and trained at a small branch of Boots the Chemist in Cambridgeshire. The company awarded him sponsorship to study a BPharm degree at University College – now the University of Nottingham. Upon graduation, Dr Adams joined the penicillin production team at Boots, but he later secured a role in the company’s research division, and a PhD from Leeds University. After seven years working from the front room of a Victorian house on the outskirts of Nottingham, the first active compounds that eventually led to ibuprofen were discovered in the late 1950s. Dr Stewart discovered the effectiveness of the drug after testing the drug on his own hangover, the rest, as they say, is history! 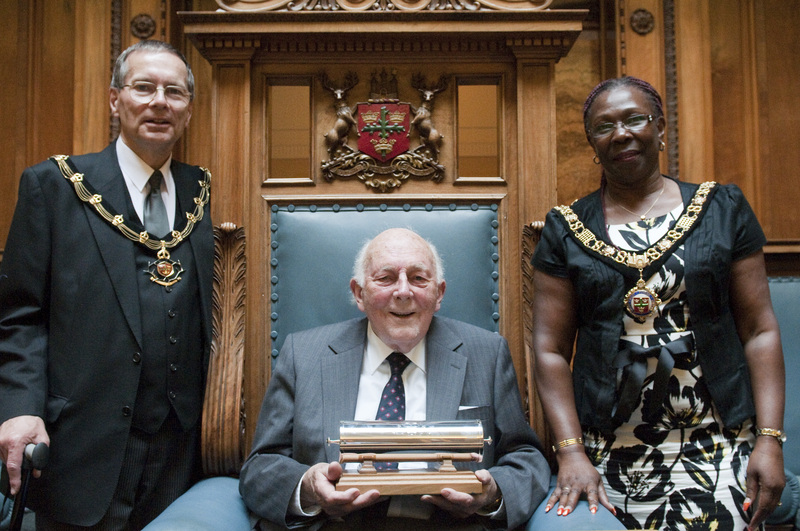 Dr Adams received an OBE for his work in the 1980s and in 2013 he was made an Honorary Freeman of the City of Nottingham. He was also officially voted Nottingham’s best alumnus in 2016 by students from across the University and received an Honorary Science Degree from the University in 2008. His son Chris told the Nottingham Post: “He was very humble and very objective and measured. Professor Kevin Shakesheff, Pro-Vice-Chancellor for the Faculty of Science at the University, said: “The University is so proud to have been associated with Stewart Adams. His career and extraordinary contribution to patients are inspiring and we have lessons to learn from his personal story and determination. His apprenticeship with Boots allowed our University to play a part in his early career as he completed a Bachelors in Pharmacy when we were called University College, Nottingham. Boots and Nottingham provided an environment in which he could explore the frontiers of drug discovery.